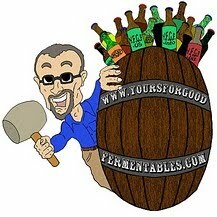 Is beer recession-proof? Apparently the answer may depend more upon whom, not what. If you're a restaurant, no. If you're a grocery store, and maybe an independent wine and beer shop, the answer may be yes. In a November 2008 report, the Nielsen Company examined the question and found that fewer people may be eating out, and thus drinking out. But more may be buying in. Consumers are going out to eat less often, as evidenced by a recent Nielsen survey, where two-thirds (66%) of fine dining patrons admitted they are going out less often compared to a year ago. Also in the report, Nielsen found that craft beers (and wines), especially those local to the buyer, are faring better —in percentage of growth— than beers in general. 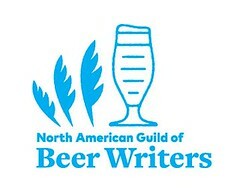 Futhermore, Nielsen found that beer sales have been the least affected by the economic downturn. 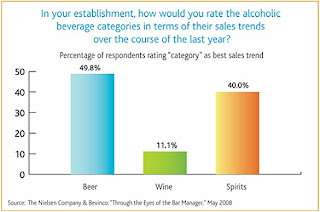 Nearly half of total respondents rate beer as having the “best” sales trend of the three categories, followed by spirits at 40%. Only 11% cited wine as having the best sales trend of the three. This evidence suggests that beer might be recession resistant. But any study occurs after the fact. Thus these findings are from May and November of 2008. Stay tuned for 2009 ... and hang on tight.